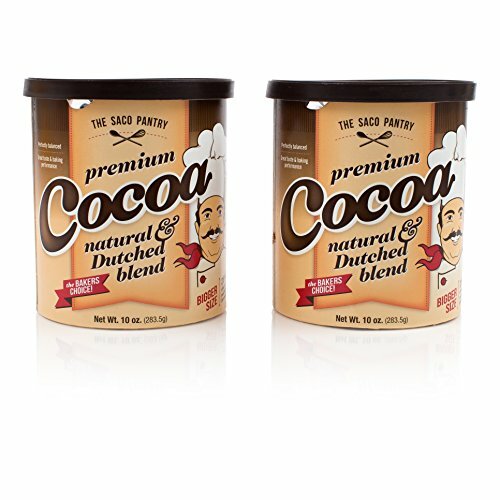 The only baking cocoa blended from the finest natural & dutched cocoa: Natural for good baked volume and texture, and dutched cocoa for rich chocolate flavor and color. This convenient cocoa is easier to use than melting baking chocolate squares. Available in easy-to-use, resealable, wide-opening canisters, for more convenience and less waste. If you have any questions about this product by SACO, contact us by completing and submitting the form below. If you are looking for a specif part number, please include it with your message.